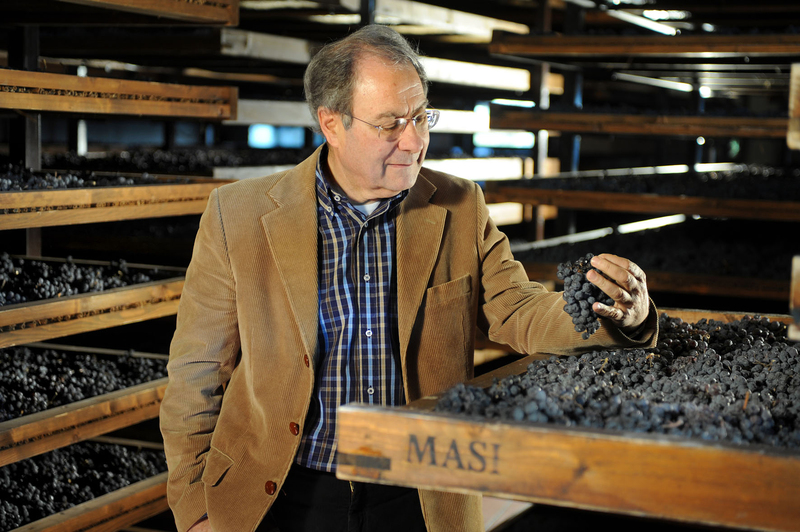 A historic producer open to change through innovation, Masi has a recognised expertise in the Appassimento technique. The Masi Expertise Appaxximento logo on wine labels attests to Masi’s specialisation in Appassimento in the XXI century, guaranteeing the authenticity and quality of the wine. 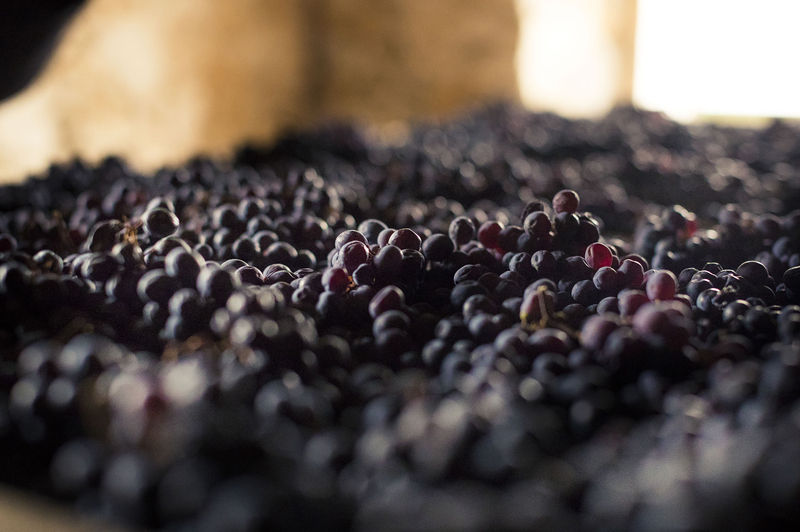 Appassimento is the process of natural partial dehydration of grapes to produce a greater concentration of colours, aromas and flavours in the wine. 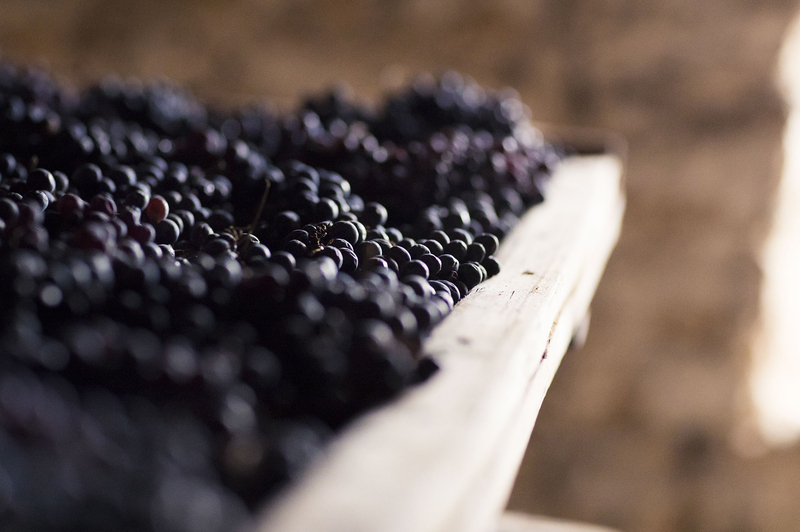 Since partially dried grapes also have a higher concentration of sugars, this system is often used to make sweet or very concentrated wines. 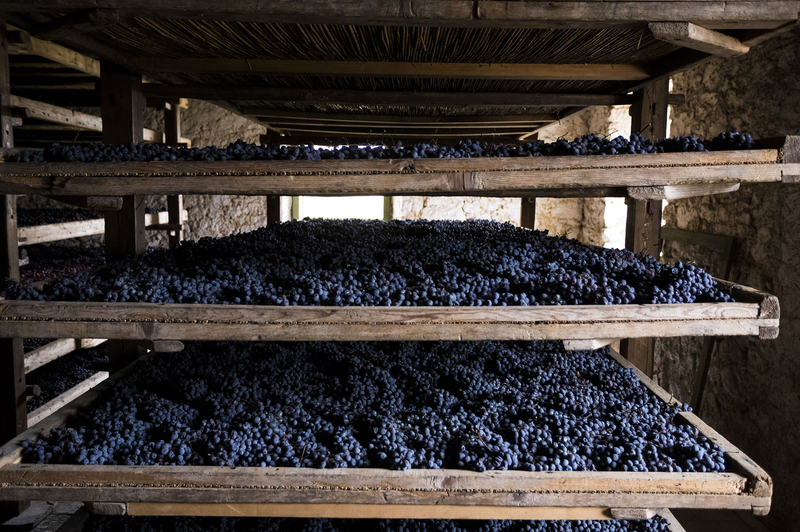 In the Veneto, where the technique dates back to the times of the Ancient Romans, grape drying is also regularly used for the production of dry wines, leaving them full-bodied, complex and relatively high in alcohol. 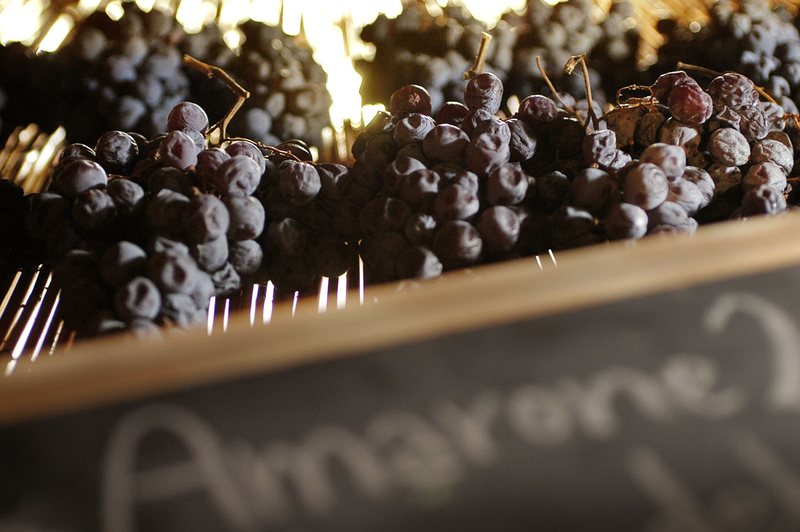 Entirely made from grapes left to dry for a long period of time, Amarone is the supreme expression of the genre, while Recioto is its traditional sweet counterpart. Grapes suitable for drying must be perfectly healthy, on bunches that are not too tightly packed. After picking, they are laid out on bamboo racks in special drying rooms (fruttai) for more than 100 days, during which they lose 30-40% of their weight. Some varieties will be affected by botrytis, the beneficial mold known as 'noble rot' that will give the wine a velvety softness, smoothness and distinctly spicy notes. Of the three varieties of grapes used in the traditional Amarone blend, Corvina is the most affected by botrytis in the appassimento process. The dried grapes are usually pressed between the end of January and the beginning of February. 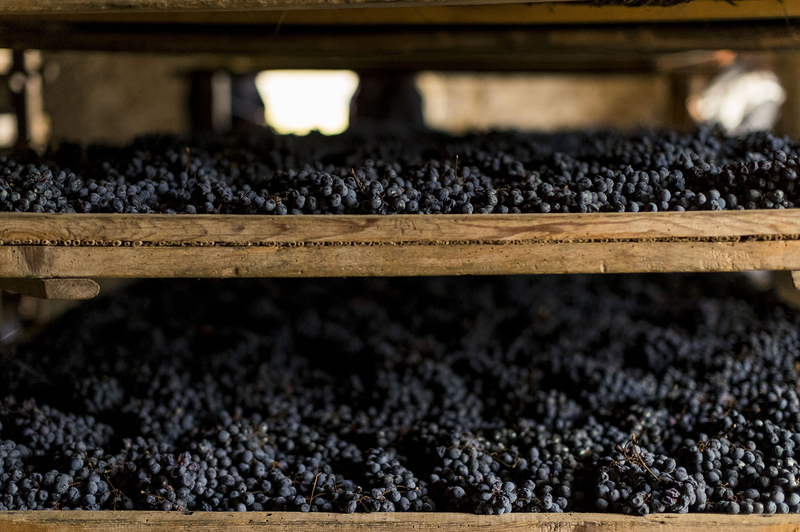 In the case of Amarone, the maceration and fermentation processes continue for 45-50 days, and the wine produced is left to age for at least three years in wood before bottling. 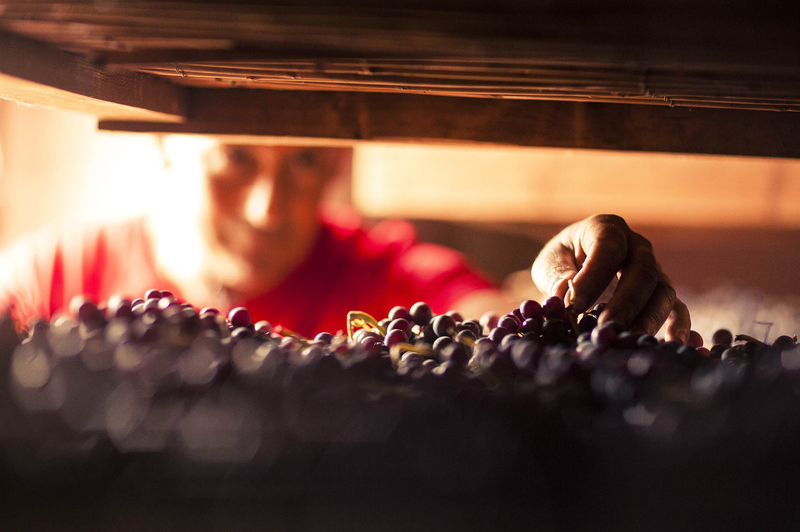 In the last fifty years, Masi and its Technical Group have used this method in an innovative way to create five Amarones and three Reciotos, the widest and most expertly created range on the international market. Moreover, using more lightly dried grapes, Masi has created a series of specially produced wines, the progenitor of which is Campofiorin with its cuvée, Brolo Campofiorin Oro, which form "a new category of Veronese wines" (Burton Anderson). Finally, Masi has developed its expertise outside its native area, both in Italy and in Argentina.